No, the Royal Air Force did not spell ‘It’s Coming Home’ in an aerial display. CLAIM: The United Kingdom’s Royal Air Force (RAF) planes spelt out “It’s Coming Home” in a fly-past ahead of the semi final between England and Croatia in FIFA World Cup 2018 in Russia. FACT: The video was created and shared by Potion Pictures, a motion graphics and animation studio. 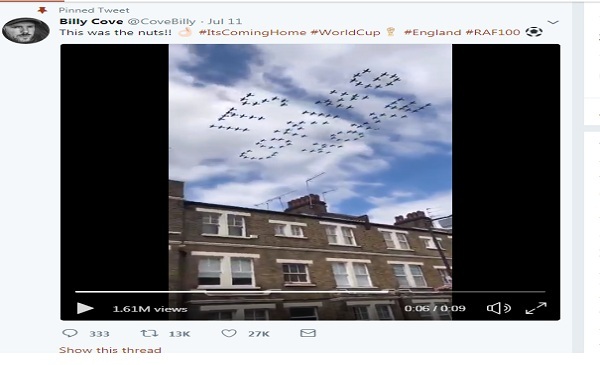 A video showing showing RAF aircraft spelling ‘It’s Coming Home’ the unofficial catchphrase used by English football fans during the World Cup, in an aerial formation was in fact digitally created using VFX. The video, which went viral on July 10, was created by a London-based motion graphics and animation studio Potion Pictures. It was viewed over 1,27,000 times at the time of writing this story. The clip was first tweeted by Potion Pictures on July 10. 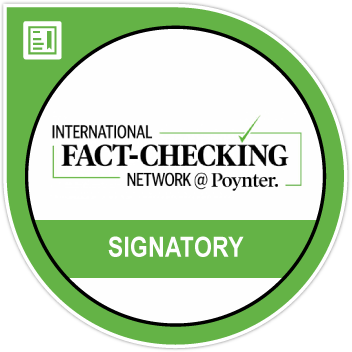 July 10 was also the day the RAF marked its 100-year anniversary making the claim believable. However, the video flew over the Internet after it was shared by Twitter user Billy Cove, a manager at a local football club. The studio gave up the gag on July 12 and tweeted a video illustrating how it created the viral clip. In India the video was also shared by Lieutenant Governor of Puducherry, Kiran Bedi. Croatia air display of the World Cup Trophy in anticipation? The refrain ‘It’s coming home’ is from the song “Three Lions” (Football’s Coming Home)” by The Lightning Seeds. It metamorphosed into a war cry for English fans and an Internet meme as the team progressed to the semi finals of the tournament. But it was heartbreak for English fans as Croatia beat England 2-1 on Wednesday halting England’s march to the World Cup finals since 1966.